Dove season is almost apon us in Texas, this will be my first season with a 16 gauge. Just wanted to say Thanks to 16ga.com and the folks here. Because of y'all I'll be using my own reloads. 16 gauge owner/reloader, NRA Life Member. I will use either the 870 or the Model 37 pump. A government that is big enough to give you anything you want is big enough to take everything you have. No Dove season here but I love to see the Dove posts coming in as it's a sign our pheasant season is on the way and seeing these great posts gets me in the mood ,I have been feeding the birds in the back yard and get a few doves in I counted 11 the other morning so numbers are getting up maybe someday we can have a Dove season . Ow 2 Pheasant in the yard this morning .All the best WJ. I have shot them with my 16s, but likely will use smaller gauges this year, mostly 28 ga. I'll save the 16 for bigger stuff. I'll be in Ks shooting doves Sept 1. Thank you skeettx. I wrestle with technology. This was slowest opening day we've seen in years. No barrels were overheated and the dog got more naps than birds, but the dawn of a new season was enjoyed just the same. Yes, been tough around here. lots of Doves here at he Newark club . Been on the DEC docket as a recommended game bird season for several yrs . Has not happened . Apparently the McCurdy donation or whatever from the past still outweighs game management here . 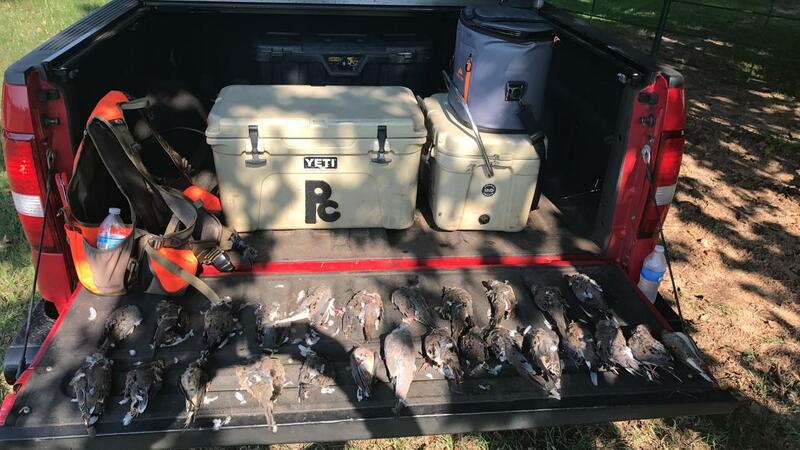 I used to take doves w/ a 28 gauge O/U w/ 3/4 ounce loads of 7.5 or 8 shot. I'm betting some fast stepping 16 ga 3/4 ounce reloads will swat them nicely and at any range you can hit them.